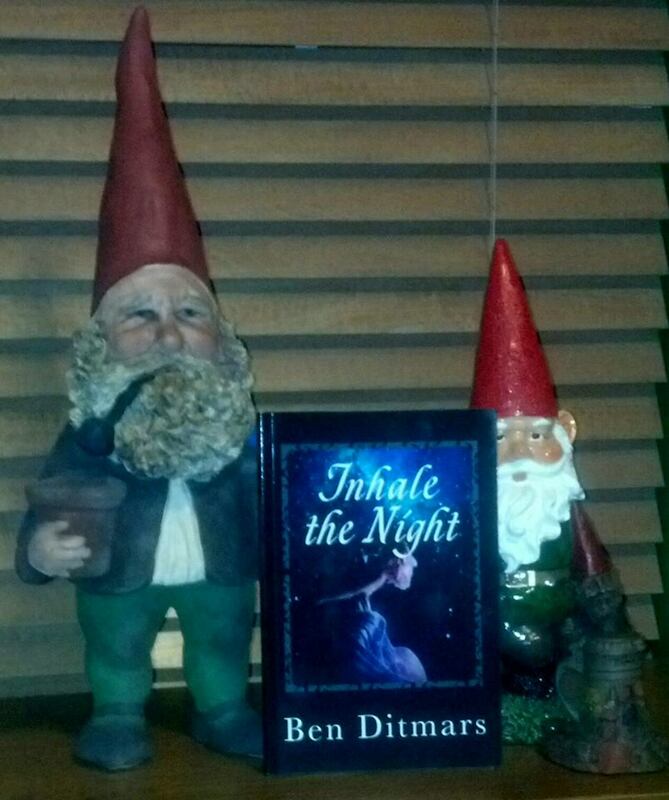 My proof copy hung with the boys tonight. Oh, those gnome boys. Print copies now available on Amazon. This entry was posted in Uncategorized and tagged book, cover, gnomes, poetry. Bookmark the permalink.